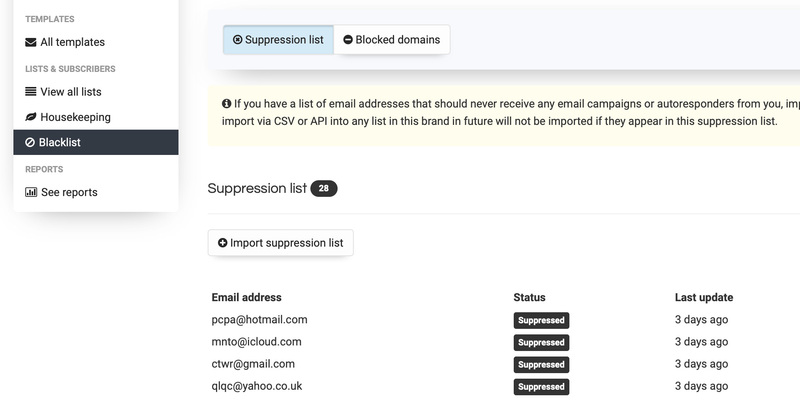 I've seen your post on https://sendy.co/forum/discussion/769/never-mail-lists/p1 stating that "In the latest version of Sendy, you can create a list and name it, 'Suppression list'. Then import the subscribers you never want to send email to inside. Then use the same CSV to do a 'Mass unsubscribe'. In future when you import any email address that exists in this list, it will not be imported." Could you tell me whether the resultant suppression list works on an install-wide basis or should we create & upload one per brand?